The Pittsburgh Steelers vs. Cleveland Browns football rivalry is one of legend — words, fisticuffs, and vandalism. A bride and groom coming from Pittsburgh and Cleveland are sure to get some gentle ribbing from the other family and this day was full of it. The vows, the toasts and cocktail hour chatter all had reference to the unlikely pairing. At times I got a little thick. For the record, your photographer is neutral. I grew up between the two cities and like them both (well, maybe the city with three rivers a bit more — shhh). They met at work, within the walls of OtterBox. Like a episode of Seinfeld they bonded over a love of breakfast cerals. She liked his Captain Crunch nature, he likes her Fruit Loops. In a blending fit for champions, the combined their cereal strengths into one perfect union to carry them through their days. Shout out to Amoré DJ for helping things stay on schedule and the monster tunes. 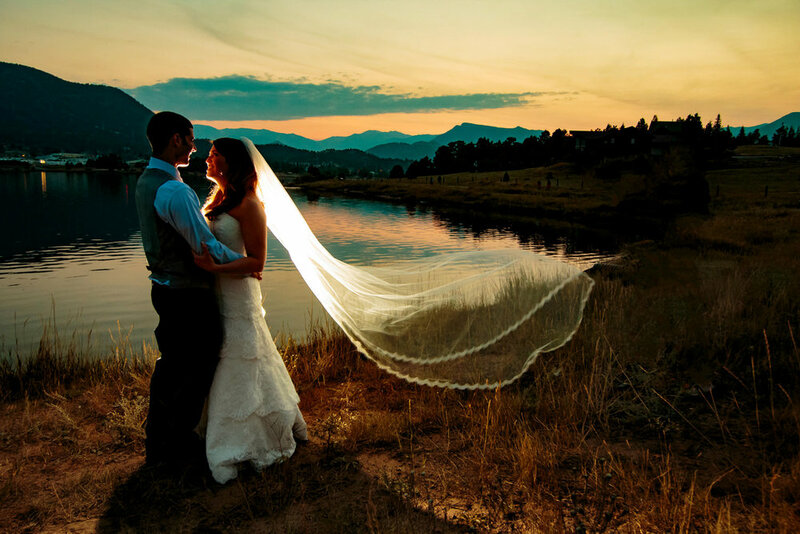 PLANNING AN ESTES PARK RESORT WEDDING? I’d love to hear a bit about your day. Please use the CONTACT button at the top of your screen to inquire about availability and service/pricing details.